For many of us, sneakers have far evolved from their mostly-functional past. What used to be rough-and-tumble shoes for concerts, backpacking trips, and various shenanigans have now become coveted accessories that can make or break outfits. From the $50/60 pairs of Converse Chuck Taylors our teenage selves are familiar with, we now see sneakers with price tags ranging from a few hundreds to even the thousands! For shoe companies, tapping into the sneaker market isn’t just an effective way to reach out to the younger crowd – it’s great for business too. Victor Lee is the co-founder of newly-minted sneaker brand YSNEAKERS, but he’s no newbie to the footwear industry. Having previously worked in the pharmaceutical, consumer electronics, and supply chain management industries, Victor’s entrepreneurial debut was in an unlikely field – bespoke leather shoes. A self-professed shoe lover, he found that the choices for men’s leather shoes in Singapore were severely lacking. “10 years ago in Singapore, we also saw mostly women’s shoes in shops while men’s shoes were more of an afterthought,” Victor shared in an interview with us. However, there was also a trend of local brands starting up with a focus on the growing market of discerning Singaporean men. Thus, in 2012, he launched Diamond Walker, which aimed to address the gap with its full customisation and made-to-measure services. In an interview with The Business Times, Victor shared that the brand also stands out due to its price tag and lead time. “A bespoke shoe could cost S$14,000 and take six months – our shoe prices range from S$500 to S$1,400 and take four to six weeks,” he said. Having won over countless Singapore clients with its high quality leather shoes, Diamond Walker is also eyeing international expansion, and in 2017, chose Doha as its first overseas location. Even with Diamond Walker’s success so far, Victor did not want his entrepreneurial journey to end at leather shoes. “The idea for YSNEAKERS started in mid-2016,” he quipped. The growth of the sneaker market in recent years is undeniable; the resale sneaker market itself is insane. According to Forbes, the sneakers industry is now worth an estimated US$65 billion since 2017! But Victor’s decision to venture into the sneaker market isn’t just profit-driven – he is a sneaker fan himself, and loves how “sneakers have gone beyond the world of sports [and have] become fashion items and style statements in their own right”. However, he found that as dynamic as the sneaker market is, there was still a “herd mentality attached to each ‘innovative’ sneaker design”. There isn’t a sneaker brand in the market that allows people to fully customise footwear the way they want it. “That was the concept I wanted to make into reality, which in turn inspired YSNEAKERS, a made-to-order sneakers brand with a state-of-the art visual customiser that allows a customer to literally design every part of a sneaker,” he revealed. His experience at Diamond Walker also informed him of a growing demand for “out-of-the-ordinary and creative” shoe designs. Roping in Sunny Lee, who was part of the managing team at Diamond Walker, Lee is the COO of YSNEAKERS and also has more than 6 years’ experience in the South Korean Entertainment scene as a special projects producer for sponsorships. With her connections, she was also the driving force behind YSNEAKERS’ collaboration with K-Pop powerhouse S.M. Entertainment. Helming the CTO position is Fabrizio Audisio, a loyal Diamond Walker customer-turned-partner. “I remember Fabrizio asking me at one of our Christmas parties if he could be a part of Diamond Walker,” Victor recalled. Diamond Walker is thriving off a brick-and-mortar operation, but Victor’s vision for YSNEAKERS is to “take the luxury buying experience entirely online”. 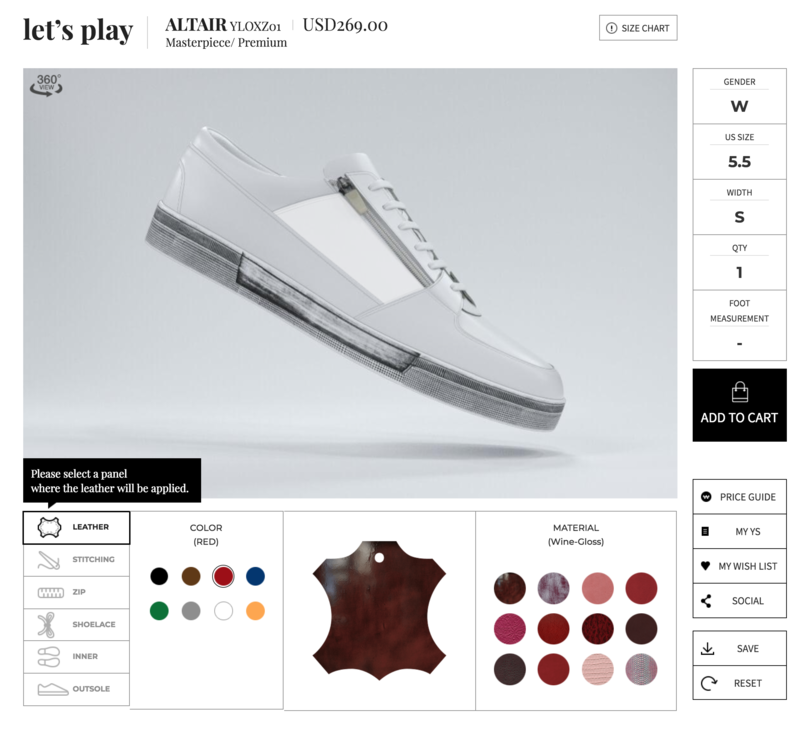 To do this, customers can design their perfect pair of sneakers with a 3D visual customiser that was specially created for YSNEAKERS. From the visual customiser, customers can choose from “more than 80 colours, Italian leathers and quality fabric”, effectively allowing for “5 sextillion possible combinations”. Literally every part of the sneaker is customisable. I like to think we redefined the notion of ‘limited edition’ – one of a kind design, available to every customer. “And this is only the beginning! We are not going to stop at 80. We are working on more,” he enthused. “The whole point of customisation is to catalyse an individual’s personal flair through design freedom,” added Victor. Just like how Diamond Walker prides itself on the quality of its materials and craftsmanship, Victor holds the same motto for YSNEAKERS. We understand that the peak of comfort in the life of a pair of sneakers – the ‘holy grail’ for sneakerheads – is after the uppers have been broken in. But perhaps what first caught everyone’s attention about YSNEAKERS was their collaboration with K-Pop artists from popular bands EXO and GIRLS GENERATION. 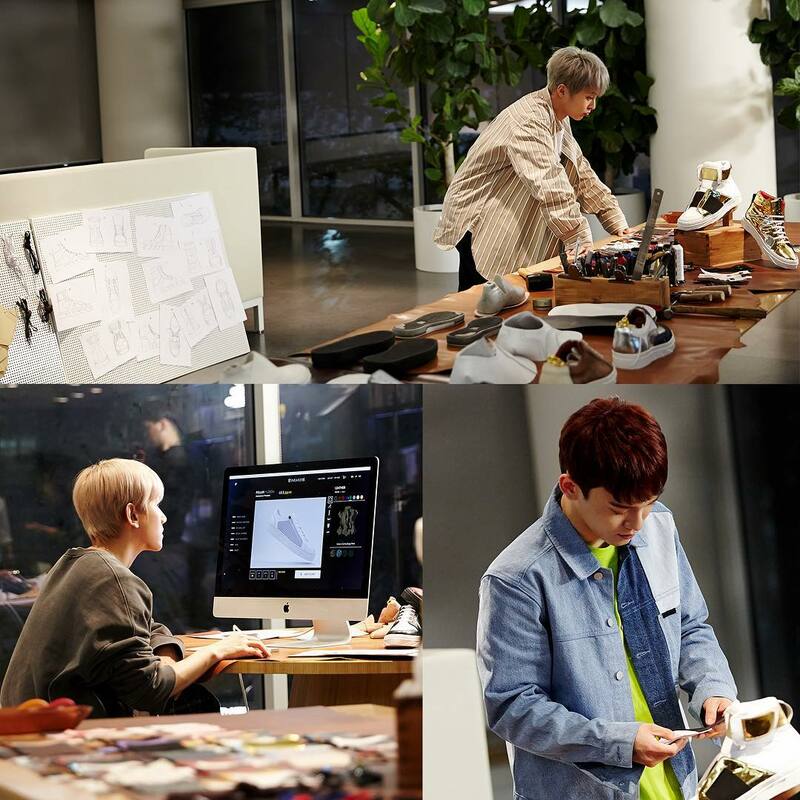 The best part is that the 7 K-Pop stars we collaborated with personally volunteered to be a part of this project – they were interested in creating their own YSNEAKERS. Right now, Victor and the YSNEAKERS team are fully concentrated on launching the brand officially online. Check out and customise your own YSNEAKERS here! The post This S’porean Brand Lets You Fully Customise Your Sneakers, And Is Endorsed By K-Pop’s Biggest Stars appeared first on Vulcan Post.